Lothar Matthaeus, the 1990 World Cup-winning captain, said he hadn´t seen a Germany team “so weak at a big tournament for a long time” following the loss in Moscow. 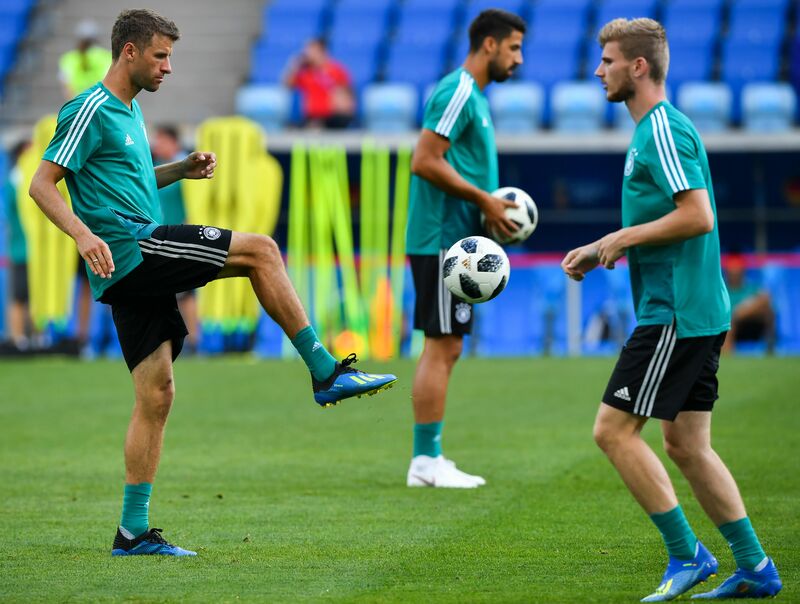 “The pressure is terrifically high, but we won´t win both games if we beat ourselves up internally and look for the mistakes in each other,” said Mueller, with Germany to meet South Korea in their final match. “The World Cup does not respect generations, the World Cup doesn´t respect individual names, it only respects winning teams,” Martinez said.